1907: Governor William Dorsey Jelks founds Protective Life Insurance Company, as Theodore Roosevelt begins his seventh year as U.S. President. 1909: Protective Life pays its first death claim. 1932: Protective Life celebrates its silver anniversary with more than $65 million of insurance in-force. 1957: Protective Life celebrates 50 years with insurance in-force approaching $1 billion. 1983: Protective Life acquires Protective Life and Annuity Insurance Company. 1997: West Coast Life is acquired, solidifying Protective’s national presence. 2002: John D. Johns becomes CEO of Protective Life. 2006: Chase Insurance Group is acquired, representing Protective’s largest acquisition to date. 2007: Protective Life celebrates its 100th Anniversary with insurance in-force surpassing $252 billion. 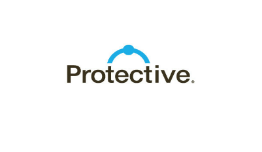 2009: Protective achieves record consolidated statutory capital level in a historically challenging financial environment. 2010: Protective Life has over $427 billion of coverage in-force. 2011: The combined United Investors Life and Liberty Life acquisitions increase policies in-force by 50 percent. 2013: Protective acquires MONY Life Insurance Company, representing its 47th and largest acquisition in its history. They are going to tear down the barriers that block people from protecting their tomorrow so they can embrace today. This will change lives. This is our purpose. This will be our legacy.